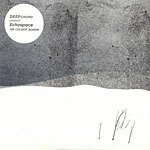 http://charlotteskitchendiary.com/1.zip Rod Modell (Deepchord) and Steve Hitchell (Soultek) recently teamed up to produce this ambient dub-techno monster under the moniker Echospace. Claiming to utilize only vintage analog equipment such as Korg tape delay, Roland Space Echo, and Sequential Circuits samplers, Echospace presents an alien world where the oceans contain waves of hissing static, metallic birds chirp, and the mountains are towers of sub-bass. Buy Xanax Turkey The album, out on the Modern Love label and distributed by Baked Goods, is a collection of four 12-inch records released earlier this year. Obviously indebted to the Basic Channel releases of the mid-’90s, The Coldest Season presents echoing organ-like synth stabs, oceanic deep bass, and plenty of the atmospheric fuzz we’ve become accustomed to with dub-tech. Yet, at the same time Echospace seem to have branched off into a unique ambient isolation. They have discovered a truly authentic and gorgeous sound that looks forward and can stand up put beside their contemporaries such as Rhythm & Sound or Substance & Vainqueur. This record is meant to be digested in one sitting, as each of these nine tracks present gorgeous textures and unique sounds. Let the sounds sink in, allowing you to be led along a winding trail that seems to have no end, but is never monotonous. Album closer “Empyrean” may just be the only suitable (and amazing) finale for such an eye-opening adventure. Buy Phentermine Online New Zealand Comments are closed.